Did you know that WordPress runs over 25% of all the websites on the web? That’s a ton of websites! With that comes a lot of possible security issues because it gives hackers and spammers a lot of opportunities to take over your website. Should this worry you? 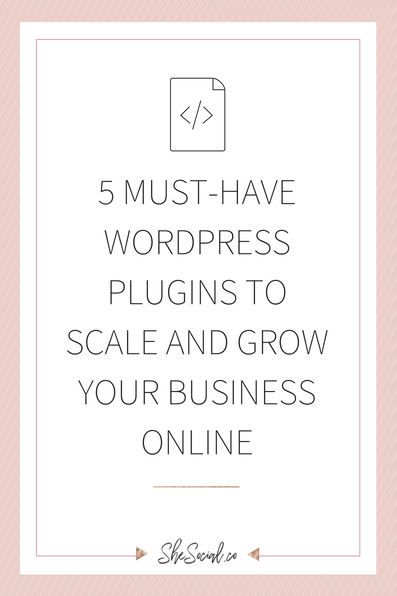 To a certain extent, yes, but there are so many ways that you can help secure your WordPress website that can help prevent a majority of the possibilities. I am going to discuss a few easy and quick ways that you can keep your information safe and secure. This may be one of the most important things that you can do. This can be a simple entry for hackers to gain access to your website, so if you don’t secure it, your already giving them access right from the start. Using a plugin like iThemes Security will help you immensely. It will easily let you change your login page from wp-admin to something you create. Don’t leave it at wp-admin and never create a login with a username of ‘admin’ or a generic password like ‘password.’ Create something unique, and you will help keep your website secure. SSL or Secure Sockets Layer will change your website from ‘http://’ to ‘https://’ and help secure your website even more. SSL is a standard security protocol for establishing encrypted links between a web server and a browser in an online communication. So it secures any information that is being sent from users and servers. The best thing about this is getting an SSL certificate is quite easy, and can also be free through hosting with Siteground and using an SSL from Let’s Encrypt. Want to know something even better? Google ranks your site higher in search rankings if you have an SSL certificate! You’d think this should be a no-brainer right? Keeping WordPress updated will always be the best way to keep your site more secure. Installing new updates will help keep your website fixed with the latest features and enhancements and security fixes. Also, if you have multiple themes on your site but only use one, you should delete the others and make sure the theme you are using is up-to-date to help with any potential security issues. Plugins can be your best friend, but can also give you potential issues with security. By making sure that your plugins are always up-to-date, and that you are only using plugins that are regularly maintained and have been built by respected developers, your website will be more secure. And make sure NEVER to use old plugins that haven’t been updated in months or even years. BACKUP YOUR WEBSITE – WEEKLY! This one is key. Make sure your website is always backed up. This isn’t just for security reasons, but waking up and seeing that your website and all of its belongings are gone would be devastating. You can fix this and use BackWPup which can help make this process easy. You don’t want to start from scratch, do you? Keep your site backed up, so you never have to worry. 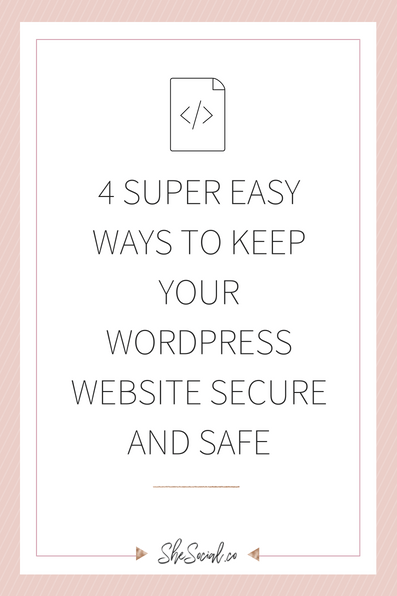 Want more help keeping your WordPress Site Secure + Running Efficiently? Check out our WordPress Care Packages where we take care of ALL of your WordPress security needs for as little as $1.57/day! Want to learn more content like this? Join Our Free Facebook Group where we talk about all things Social Media, Tech, and Biz EVERYDAY!!! Click Here To Join! 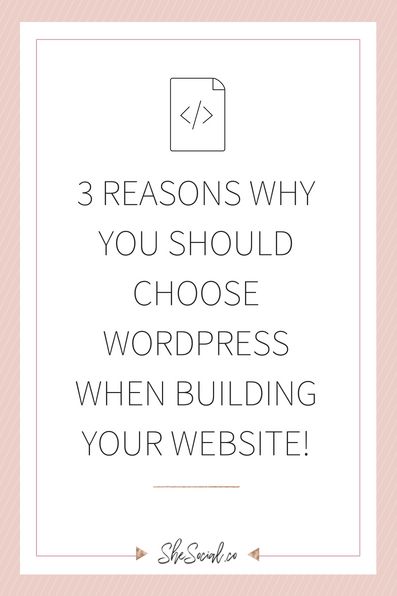 3 Reasons WHY You Should Choose WordPress When Building Your Website! 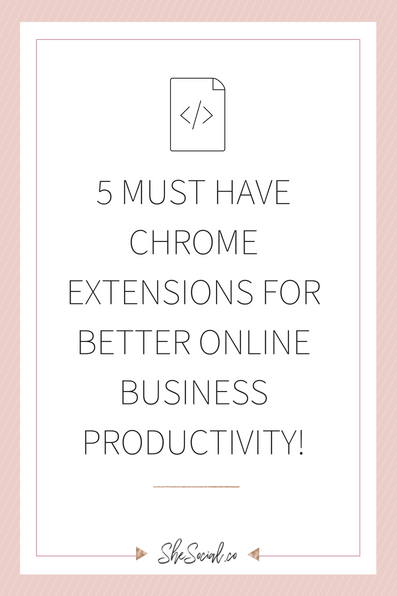 5 Must Have Chrome Extensions for Better Online Business Productivity! previous post: 5 Must Have Chrome Extensions for Better Online Business Productivity!